I missed pretty much all my targets that weekend. That said, I was hardly birding. Just not feeling well these days. 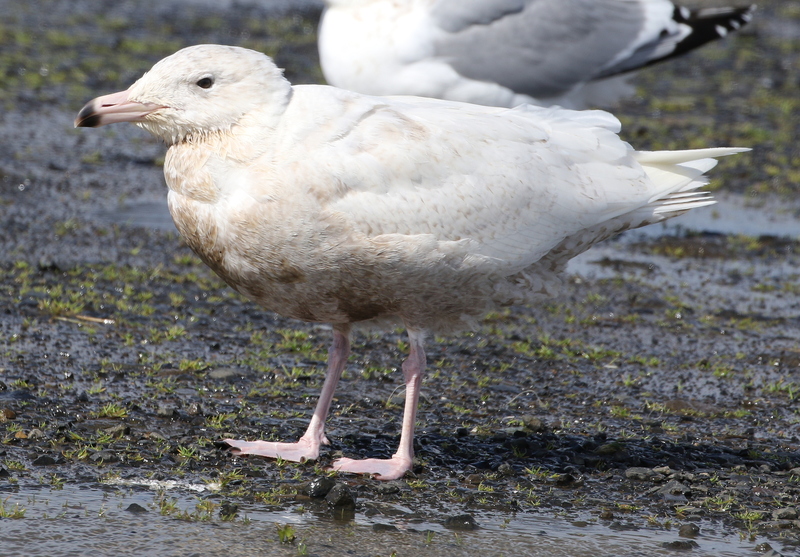 This 1st-cycle Glaucous Gull was at the gull puddle. It was enormous, well outside of barrovianus. I’m thinking palladissimus, probably. 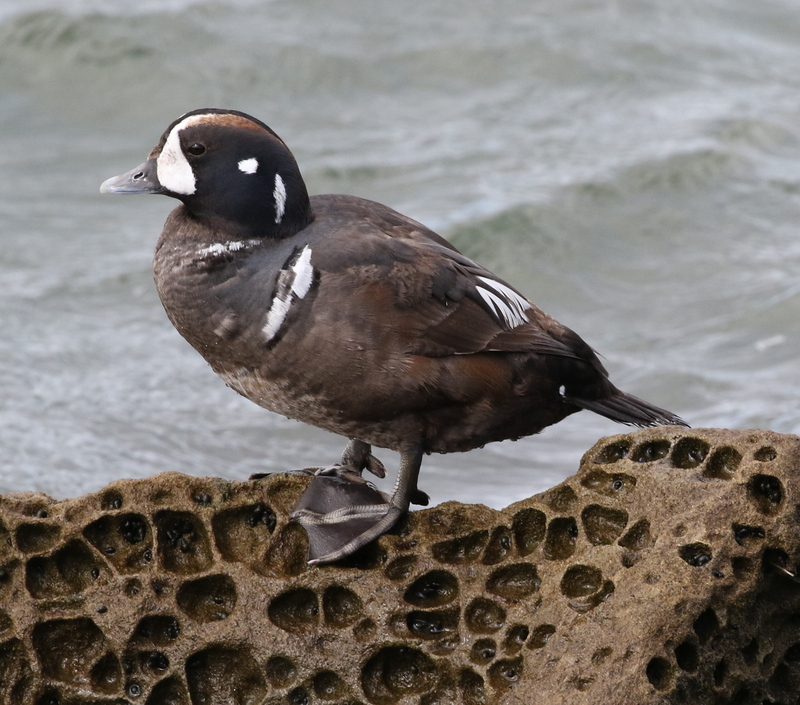 A Harlequin Duck roosting nearby. 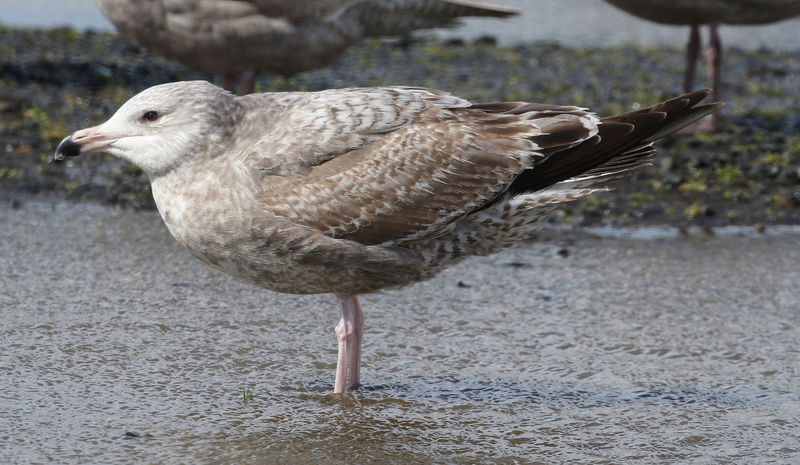 Another interesting gull was this guy: Looks like a 1st-cycle bird (also doesn’t seem to have rounded primaries yet). The primaries are maybe a little too dark to suggest Nelson’s Gull (Glaucous x Herring), so this may just be a Herring.